Ressence is now a Chronopassion brand. How have things developed since you first met? The most extraordinary thing is that that we never really had a properly arranged meeting as such. I bumped into Laurent several times at exhibitions. But I prefer not to approach retailers; it’s better when they discover the product themselves. Indeed! (laughter). But above all, if a retailer stops in front of a Ressence, at the very least, that means they are intrigued by the object before their eyes. That allows me to start a discussion and get a feel for the proprietor. Contact is often established that way, but sometimes the chemistry just isn’t there. yes, I would. I’m the instinctive kind. I came, I saw, I liked it. I found Benoît’s approach very clever, and technically different from what I was used to. And of course at Chronopassion, we really like being in on the adventure from the outset; that’s in the spirit of our brand. There’s the issue of whether a new brand is going to survive though, isn’t there? Of course, just as for all brands. 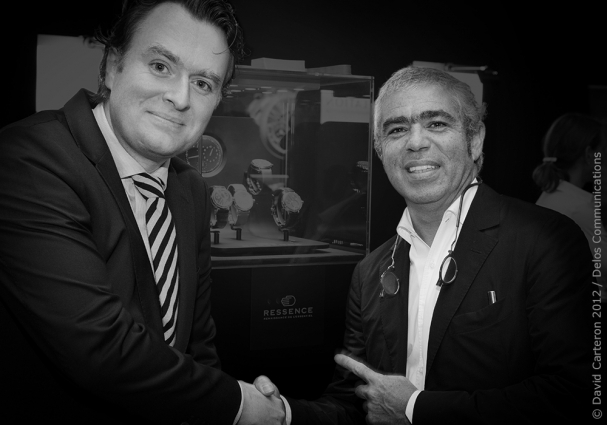 But when I saw the second-generation Ressence arrive, it was clear that this wasn’t a one-shot operation – and that was when we really started proper discussions with Benoît. He had no shortage of good ideas. To launch a brand, you need to be able to see the big picture, especially where I’m concerned, as I don’t have a background in watchmaking. The most difficult thing was finding good watchmakers and good suppliers, and that really becomes apparent only when you’re getting ready to deliver the watch. 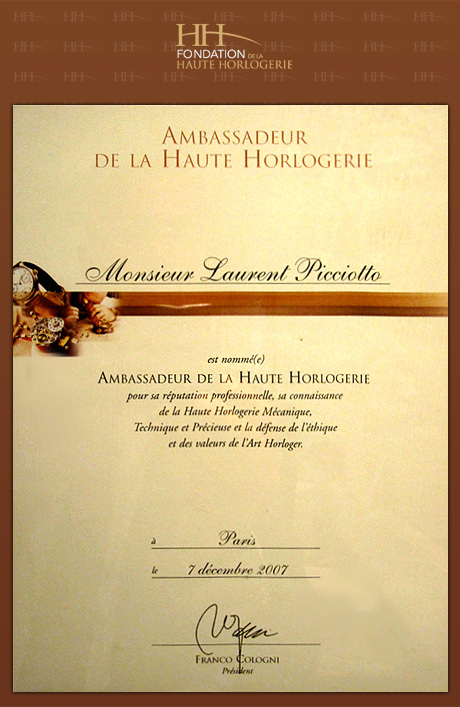 Laurent gave me down-to-earth technical advice, and that helped make sure that the reliability of the timepieces was never compromised at any point. Are you saying that if you were to do it all over again, you’d go about some things a little differently? It would be rather arrogant not to! Ressence is carving out a path on the frontier between industrial design and watchmaking. That’s an approach which really could have done with more explaining. I designed movements, mechanisms and parts that traditional watchmakers had never learned about in their training. In fact a number of watchmakers have actually broken some of my parts, but I can’t hold it against them. They were simply working using the methods they learned in the Joux Valley or some such place – methods that just can’t be applied to Ressence. To bridge that gap I eventually put together an assembly guide, just as you would have for a Lego model. Yes, Benoît, teaching people how to do it is definitely the way to go! (laughter). We always end up coming back to the same basics. It’s the same for me: a client will buy a timepiece only if they’ve understood it and got their head around it – or at the very least, if it’s piqued their curiosity and made them want to find out more. What made you decide to work with to Benoît? He had a good idea, right from the start, and above all he believed in his project. This kind of initiative needs supporting, especially when the end product adds something so new to our little world. With Chronopassion, we really are partners. So for the next exciting episode, is it a case of not changing a winning formula, or do you want to tweak a few things while there’s still time? Yes, I know, you’re always saying that to me!